Is it just me or did Cerakote bars become all the rage seemingly overnight? 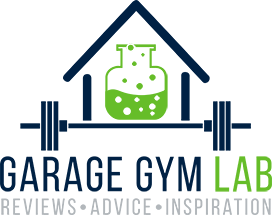 In the increasingly competitive equipment space, if you’re not innovating or at least keeping pace with the innovators, you’re putting yourself behind the proverbial 8-ball. The company behind the Cerakote frenzy? Since introducing Cerakote on barbells, companies like Rogue Fitness, Fringe Sport, and Wright Equipment have all followed suit. In addition to providing excellent corrosion resistance, Cerakote can provide a very unique look without sacrificing the knurl’s feel in a really meaningful way. As it relates to the American Barbell California Bar, I have to say it’s a fantastic looking bar. Not only that, but most importantly, it performs beautifully. American Barbell markets this bar as a ‘functional fitness’ bar, which is exactly how I would characterize it. If you’re looking for a great looking, high-performing multipurpose bar that’s competitively priced, this bar deserves to be in the conversation. You may be asking yourself if Cerakote is even worth the additional cost over bars with different finishes. Do you care about rust? If you do, Cerakote is one of the best options available. The only barbell that competes with it is stainless, and there’s some controversy over which is actually better at fighting oxidation. These two types of bars are priced similarly, although stainless bars are typically slightly more expensive. When it comes to other finishes like zinc, chrome, or bare steel, Cerakote blows them out of the water. In fact, there are claims that Cerakote can be 100x more resilient to rust than zinc. Do you care about looks? If you do, Cerakote will again be one of the best options available. With a Cerakote application, you can essentially create any look your heart desires. This is a distinct advantage over traditional finishes, and we are beginning to see some very unique Cerakote bars with cool patterns and awesome colors. I’m personally very excited to see where this goes. Another consideration to keep in mind is that Cerakote isn’t going to give you that raw feeling that you’ll get from bare or stainless steel. That said, the feel is improved over other finishes like zinc, in my opinion. So, is Cerakote worth it? Armed with the answers above, you’ll be better equipped to answer that for yourself. For me personally, I think it’s worth it. Let’s review the bar now, shall we? The California bar was first introduced as a zinc bar, and it became a very popular option for WOD’s and general multipurpose use. When American Barbell decided to reintroduce the bar with Cerakote, leaving the zinc option for the birds, it became even more compelling. In my opinion, this is one of the better multipurpose bars you can buy. While it’s currently priced $10 more than the Cerakote Rogue Ohio Bar ($335 vs $325), the Cali bar is still priced well. I think; however, the bigger decision point isn’t between the Cerakote Rogue Ohio Bar, but actually the Stainless Rogue Ohio Bar, which is priced at $350. If you lean towards the Cerakote, I would definitely pay the extra $10 for the American bar (I prefer the 28mm diameter). If you lean more towards stainless, the Rogue Ohio Bar is hard to beat for only $15 more. The 28mm shaft diameter is one of my favorite aspects of this bar. While I do train as a “powerlifter”, I really enjoy working with a 28mm bar on occasion. I especially love it on deadlifts, as I can set my hook grip in very nicely. Will I be using this bar extensively on deadlifts? No, but I do think it’s fun to pull on a bar with some whip and a smaller shaft. I also think there’s a place for it in overload training in general. The tensile strength of the bar is 190,000, which is consistent with other multipurpose bars. As is the norm with American Barbell, the California bar has a more mild knurling. The points aren’t really points at all… they’re more like a volcano as Chris Duffin would say (vs a hill or a pointy mountain). The depth of the knurl is shallow, which contributes to its mild-to-moderate feel. Don’t let this make you think that the bar doesn’t have grip though, because it absolutely does. My grip sets in very nicely despite the knurling not having any semblance of sharpness. Because of this, I find it to be a great bar for high rep work. In true multipurpose fashion, the California Bar does not have a center knurl. You’ll need to decide how you want to use the bar to see if that will be an issue for you. It won’t be ideal for any powerlifter squatting low bar. Additionally, if you like any kind of “stick” in your front rack position, you may want to consider a bar with some kind of center knurl. If neither of those apply to you, it’s a non-issue. The one thing about the color of the bar is that it can make it slightly more difficult to line up. On a bar with a center knurl or one with some kind of center marker (like a name or emblem), it’s easy to get it square on the body. With this bar, the awesomely consistent coloring, coupled with the mild knurling, makes it ever-so-slightly harder to find the perfect midpoint. Of course, this is largely mitigated by utilizing the knurl marks, but it’s something to consider, even if minor. On the other side of the coin, I much prefer a bar without the center logo. I find them to be a little tacky, so the minor trade-off is worth it to me. The sleeves on this bar, along with most other American Barbells, are beautifully constructed with recessed welds. This differs from the frictional welds that other manufacturers typically employ to attach their sleeves to the collar. Functionally, they perform very similarly, but aesthetically, it’s not even in the same stratosphere – American Barbell is the clear victor (in my opinion at least). The sleeves themselves are hard chrome and they’re smooth, which I prefer. Curiously, the sleeves are pretty loud when loading and unloading plates, which is something I usually find with grooved sleeves. Hence my preference for smooth sleeves. Despite this, their striking good looks and low maintenance make up for it. The total loadable sleeve length on the bar is around 16.38″, which is good for over 600 lbs of competition bumpers. American Barbell doesn’t publicly state the yield strength of the bar, but at a tensile strength of 190,000 PSI, I’m confident the bar can hold a significant amount of weight. As a multipurpose bar, I doubt many people are going to be loading it to extreme loads anyway. The sleeve diameter is an even 1.96″, which is consistent with traditional Olympic-sized bars. Lastly, the sleeves are affixed via a snap ring, and there is very little movement laterally or vertically. This contributes to a better feel and a quieter experience. I’m a big fan of this bar’s overall performance. The 28mm shaft gives the feel of a weightlifting bar, but it performs like a true multipurpose bar. There is a good amount of whip, but not as much as you would expect on an Oly bar. For that reason, and given the dual knurl marks, it’s a fun bar to deadlift with. You get some whip action for overload training and you get the benefit of the smaller diameter. If you have smaller hands like I do, it’s a nice change of pace from the 29mm shafts. As I’ve already alluded to, the fact the knurling is more subdued is great for high rep/volume training. If your training calls for such programming, this is going to be a great bar to prevent hand issues that a sharper knurl could possibly cause. The knurl itself gives you plenty of grip too – win-win. As for squats, the lack of center knurl is a subjective consideration. I personally like to squat with a bar that has a center knurl. That said, high bar squats feel really nice with the California bar. I doubt it will be a bar I personally use often on squats, but it absolutely gets the job done and it does perform well on the lift. This is just a personal preference. If the center knurl isn’t important to you, this bar will surely impress you on squats. Ultimately, it boils down to this: If you’re into functional training, Crossfit, and/or Oly lifting, this bar is going to be a great choice. If you’re a true Oly lifter, you may be better served buying a dedicated Oly bar. Likewise, if you’re a true powerlifter, you’ll be better served with a dedicated power bar. If; however, there is some crossover in your training, this bar will perform with the best of ’em. My goodness, this bar is cool looking. 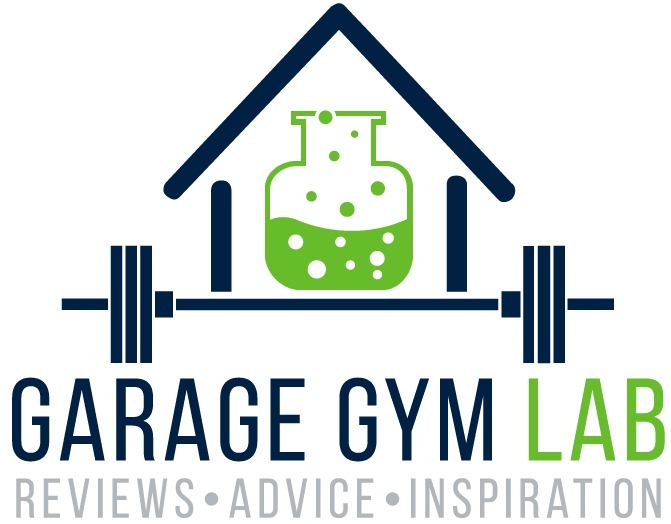 If you couldn’t tell from the Garage Gym Lab logo, I love green. When faced with deciding between the black graphite (also very cool) and the zombie green, it was a pretty easy decision for me. If there’s ever a zombie apocalypse, I’m using this bar as my primary “weapon” because it’s likely going to stop the zombies dead in their tracks (no pun intended)… and then we’ll share a lifting session together. Those guys at American Barbell are smart, I’m telling you. In all seriousness, the green is really awesome. The Cerakote application looks to be well done throughout. I have noticed that it collects some remnants from my j-cups at the contact points, but it seems to be easily removed with a proper brush. I’ll be curious to see if continued regular use causes any cosmetic changes there. The knurl termination points are perfectly executed, in my opinion. This attention to detail is greatly appreciated and it makes the bar look even better. The recessed welding, as mentioned above, is just beautiful. It’s such a unique feature in the barbell arena. I think American Barbell should be applauded for creating something very cool, and very different. I’ve actually found myself just staring at it at times. Lastly, I think the end caps look really nice. I love the red with the black, and the American Barbell logo is one of my favorites. Overall it’s a simple design, but it really stands out among some of the other bars in my gun rack. One of the best aspects of this bar is its Cerakote application. If you care about rust, Cerakote is one of, if not the best, applications in terms of fighting oxidation. The sleeves are smooth, which I prefer over grooved from a cosmetic perspective as well as an auditory (generally) one. The recessed welding is functionally awesome and visually stunning. I love the green color – it’s unique and really cool. The knurling, while classified as mild-to-moderate, offers a nice grip that is fantastic for high volume and functional training. The overall specs of the bar are very good. The weight of my bar is within a 0.5% tolerance, which is highly accurate. I really love that this bar is 28mm vs 28.5. It seems marginal, but it makes a difference in my eyes. Value-wise, the bar is priced fairly to compete with other quality bars. The sleeves, despite being smooth, have a zip noise that is typically reserved for grooved sleeves. I don’t think it’s as loud as those, but it’s certainly louder than some of my other smooth-sleeved bars. The consistent color and lack of center knurl/marker make it slightly more difficult to line up perfectly on the back for squats. If you’re looking for a multipurpose/functional fitness/WOD bar, the California Bar is simply awesome. Not only does this bar fight off rust like a boss, but it looks completely badass and it performs really, really well. American Barbell has made a name for itself in creating great bars, and this California bar has to be one of their crown jewels. Considering the specs and the price of the bar, I’d say that it packs a very nice value. Personally, the 28mm diameter and the recessed welded sleeves are enough to push it over the top of competing bars, such as the Cerakote Rogue Ohio Bar. I’m extremely excited to have this bar in my collection, and I’m absolutely going to have it in my permanent rotation. If you have any questions about this bar or multipurpose bars in general, please leave a comment below. Likewise, if you own this bar and you want to chime in with your own thoughts, please do so! As always, I appreciate any feedback.If you found this review useful, please feel free to share it on social media! The American Barbell California Bar is simply a fantastic multipurpose barbell. Regardless of the type of lifting you do, this is a great bar to add to the arsenal. It packs a great value and its specs are top notch. Don't hesitate to give it a look.